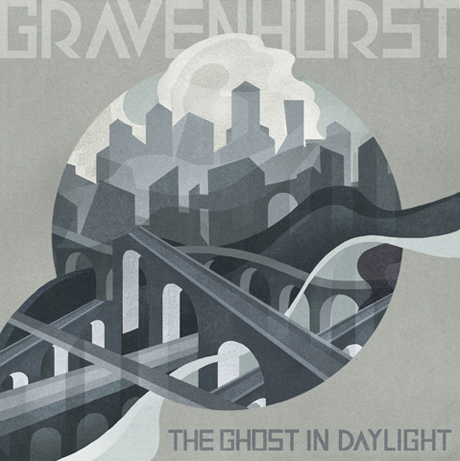 It's been five years since UK folk noir project Gravenhurst delivered their "cool but ominous" last LP, The Western Lands, but songwriter/multi-instrumentalist/producer Nick Talbot has unearthed the project for his latest spooky effort, The Ghost in Daylight. A press release from Warp, who issue the album on May 1, describes the act's next set as pulling from disparate influences, including My Bloody Valentine and Simon & Garfunkel, as the basis for its gloomy folk sound. In particular, Talbot found inspiration in the ambient tones of Brian Eno this time around. "I find the divine in drone, dissonance and noise so there is a near-religious amount of controlled chaos beneath the close harmonies and finger-picked guitars," he said in a statement. "So this album is at once deep in acoustics and heavy in electricity; an emergent contrapuntal sonic phenomenon occupying four- to five-dimensional phase-space." Lyrically, first single "The Prize" keeps things glum via its themes of "compulsion [and] degradation," though it allows for "the possibility of transcendence." A tracklisting has yet to be unveiled, but you can stream the single down below.